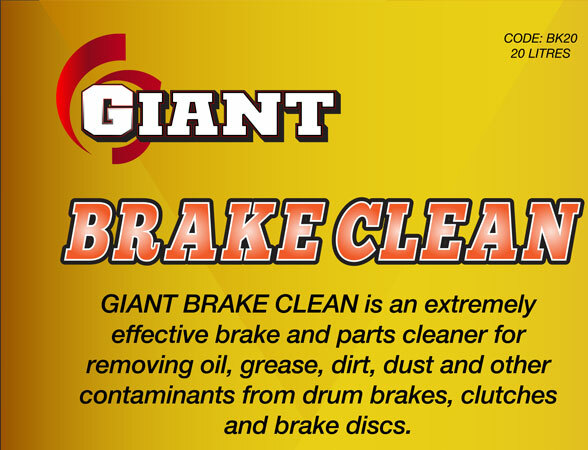 GIANT BRAKE CLEAN is an extremely effective brake and parts cleaner for removing oil, grease, stubborn dirt & dust, and other contaminants from brake components. 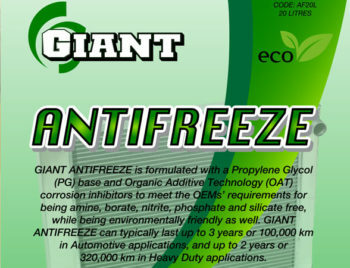 GIANT BRAKE CLEAN is CFC-free, Silicon-free, and is safe on plastics, rubber and paint. 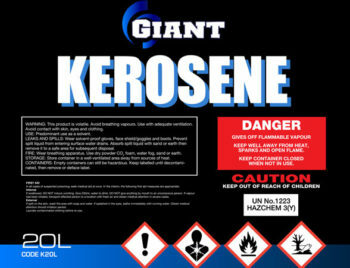 It leaves no residue after use and can reduce brake squeal, while improving brake performances. It is safe on most metals. 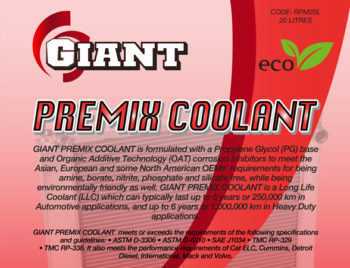 GIANT BRAKE CLEAN can be used directly on the components of the brake system (brake lining, brake discs, CV joints, brake cylinders, brake calipers, brake drums, etc.). 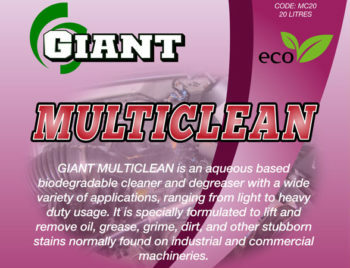 It can also be used in general for removing oil, grease, stubborn dirt & dust on any metal component, commonly found in automotive workshops, fleet maintenance depots, marine vessels, industrial work areas, etc.